The affordability of digital cameras and SD cards and widespread distribution of tutorials and techniques of photography have transformed many crowds of consumers into amateur digital photographers. They buy 16GB SDHC cards to store the memories. They read the tutorials and techniques for taking good pictures. And they know that post-processing matters in photography. Sadly, they also realize that learning how to use a full blown version of Adobe Photoshop would take up a lot of their time and resources just for a few features that they'd probably need. Not to mention that the professional Adobe Photoshop version, in terms of costs, is out of range of most consumers. Adobe actually saw this trend and created a product just for the amateur photographers: I'm talking about Adobe Photoshop Elements -- for simplicity in use and attractive pricing for consumer amateur photographers. Released in 2001 alongside Photoshop 7.0, Elements remains an important part of Adobe's Photoshop line. It's evolved through five stages to get to this version we have in our hands - Adobe Photoshop Elements 6, which was bundled with Adobe Premiere Elements 4. Adobe kindly sent us their Photoshop Elements 6 and Premiere Elements 4 with FedEx's International Priority service - wow, that was fast! It took just a couple of days for me to be able to pick it up from FedEx's depot. I slid open the cardboard box to find the retail version of Photoshop Elements 6 and Premiere Elements 4 bundle. 'Nuff said. The Adobe Photoshop Elements 6 and Premiere Elements 4 bundle is what I'd consider an extremely well-packaged and marketed piece of software. The packaging colour scheme and graphics was reminiscent of the feeling I got when I was opening the package with my first scanner, the Agfa SnapScan 1212, and reading the instructions. Same bunch of smiling, happy, clear-eyed people. Same red and white. 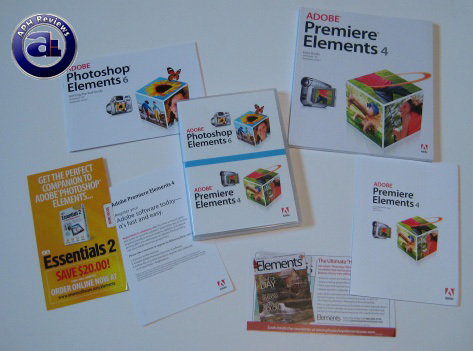 I actually personally quite liked the Adobe Photoshop Elements 6/Adobe Premiere Elements 4 Bundle Retail Packaging. It was made to look extremely friendly - with the more or less typical-looking cameras/camcorders that us ordinary people use, as well as short, point-form text on the back emphasizing its ease of use. The accompanying pictures of red-eye fixes and screenshots just boosted it to a whole other dimension - after all, every picture is worth a thousand words, right? 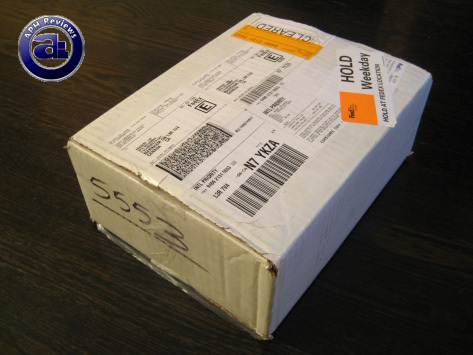 As expected, the package contained two DVD's housed in one case, their corresponding user guides, and a tasteful amount of promotional flyers. posted 5 hours and 2 minutes ago, with 12 posts. posted 5 hours and 2 minutes ago, with 9 posts. posted 5 hours and 3 minutes ago, with 3 posts. posted 5 hours and 5 minutes ago, with 4 posts. posted 5 hours and 6 minutes ago, with 11 posts. posted 5 hours and 7 minutes ago, with 56 posts.